ST. GEORGE — This year marks the 25th anniversary of National Public Lands Day, the nation’s largest single-day volunteer effort, and events are being held across Southern Utah for the community to help clean up public lands. The event, which takes place Sept. 22, focuses on restoring lands through picking up trash, removing graffiti and clearing invasive plants. The National Park Service is also hosting a fee-free day, offering free admission at every national park and volunteers will receive a pass to enter a park for free at a later date as well. This year is also the 50th anniversary of the National Trails System and the National Wild and Scenic Rivers System. National Public Lands Day is held across the U.S., and many of the Southern Utah national parks and Bureau of Land Management areas are participating by holding events. Zion is encouraging volunteers to assist the Vegetation Division with removing Russian thistle, otherwise known as tumbleweed, which is an invasive species to the area. The event will take place from 9 a.m. to noon and volunteers will meet outside the visitors center by the 3D map. Those attending should bring closed-toed shoes, long pants and shirts with sleeves, water and a salty snack. Gloves and tools will be provided. Volunteers must be at least 18 years of age. 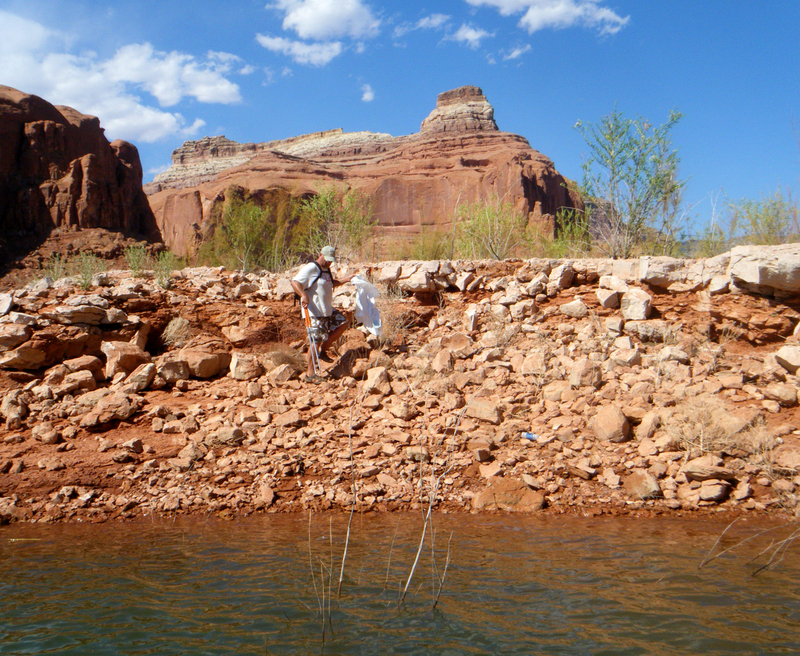 Glen Canyon invites volunteers to help remove graffiti, trash and invasive plants from the beaches at Lake Powell. Equipment will be provided, but volunteers should bring water and sun protection. The event is held at both Bullfrog, Utah, and Page, Arizona. Bullfrog volunteers should meet at 9 a.m. at the Bullfrog covered slip parking lot. Volunteers in Page should meet at the Wahweap Swim Beach parking lot at noon. Volunteers are invited to an appreciation and awards event at 6 p.m. in the Navajo Room at the Lake Powell Resort. Dessert will be served and volunteers will receive gifts to recognize them for their work and those who have contributed more volunteer time will be given special honors. BLM staff and volunteers plan to gather at the Monticello Field Office from 10 a.m. to 2 p.m. to work on revitalizing the Indian Creek campground. Volunteers should email [email protected] to register. Rangers and volunteers are gathering at Lake Mead from 9 a.m. to noon to clean up the area of the park that had high visitor traffic over the summer by picking up litter. To register for the event volunteers should email [email protected]. BLM staff and community members are invited to watch the release of captive California condors at the condor viewing site at Vermillion Cliffs on House Rock Valley Road. Directions and a map can be found here. 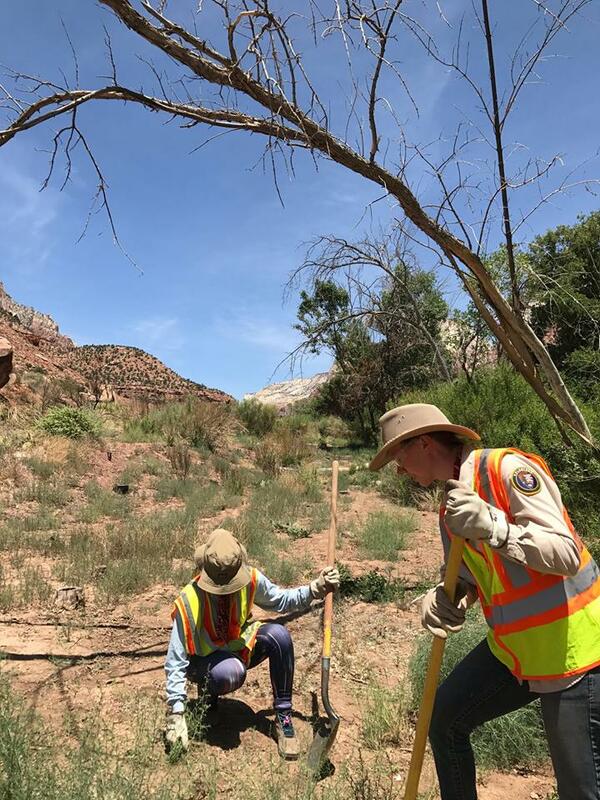 Volunteers can gather at the Kanab Field Office at 8 a.m. to work on removing trash, rebuilding fences and repairing signs in the Hog Canyon trail system area until 2 p.m. Volunteers are invited to help install new sign posts, kiosk panels and trailhead registers at the Nampaweap and Mt. Trumbull trailheads near Littlefield, Arizona. Work may include shoveling, digging and cleaning up trash. National Public Lands Day is organized by the National Environmental Education Foundation, as well as the Department of the Interior, Department of the Army and Department of Agriculture. The National Park Service provides the most volunteers and locations. The U.S. Fish and Wildlife Service, Bureau of Land Management, Bureau of Reclamation, U.S. Forest Service and U.S. Army Corps of Engineers are also annual participants.